Last year, the Big Ears Festival invited Christian Fenessz, David Daniell and Tony Buck to play together for the first time. Would it be a match made in heaven? Would sparks fly? Or would two of them end up walking off together and leaving the third to pack up the equipment with teary eyes? To be honest, we doubt their appearance in Knoxville was billed in such a fashion – being, after all, a highbrow avant-garde festival rather than Blind Date. Although, if it were, all three would seem pretty compatible partners anyway. Fenessz is best-known for the dark shoegazey electronica of the sort found on 2008’s Black Sea album, Daniell for his collaborations with Tortoise’s Douglas McCombs and hired six-string for the likes of Thurston Moore, and Buck as drummer with Australian free jazz trio The Necks. So you can bet that, on an imaginary ‘tell us about yourself’ date form, all three would have ticked ‘being rather serious’, ‘long tracks’ and ‘making a racket’ in the interests section. Not to mention Steve Reich, My Bloody Valentine and Ornette Coleman in the ‘who do you most admire’ section. Nor are improvised jam sessions like this exactly a new concept. But even with a group apparently this well matched, there’s still a risk. For every dream team like Kieran Hebden and Steve Reid, there’s been a thousand free jazz gigs that are like the musical version of the ‘soggy biscuit’ game with musicians desperately try to outwank each other and feeding the audience the results. Improvisation should be an art, not an indulgence and – just like a date – only really works with a bit of give and take from everyone involved. 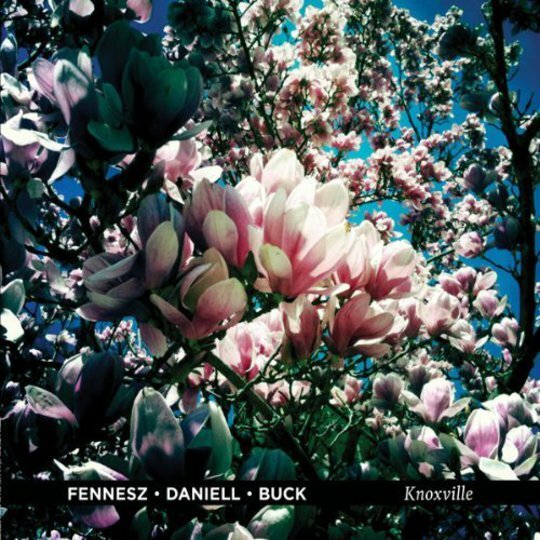 In fact, the opening few minutes of Knoxville do resemble the start of a date, progressing like halting small talk from the initial awkward silence, the trio seeming to gently probe the other with a few tentative sounds; a brief rustle of cymbal from Buck say, or Daniell timidly plucking his guitar. Apparently, the very first time the group had played together was at the soundcheck, and that’s exactly what the first part of opening track ‘Unuberwindbare Wande’ sounds like. That’s until Daniell makes the first real forward move just after three minutes, beginning a slow but savage exploration of the fretboard which drags the others in. 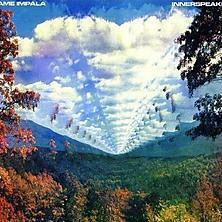 By the time second track ‘Heat From Light’ begins, they’re each letting it all pour out of them; Daniell and Fenessz’s guitars reaching a passionate crescendo together, Buck’s drumming a swarm of locusts, a weird voodoo vibe seeping with the feedback from the speakers. Of course the track titles are entirely arbitrary, presumably just there to make it easier to skip through on your iPod, although anyone who sticks this on ‘shuffle’ would be missing the point on a scale almost as colossal as the music itself. Separating Knoxville into individual tracks is as futile as trying to identify distinct waves in a wall of water crashing towards you and – as with someone like Sunn O)) or Mogwai at their most fearsome – Fenessz Daniell and Buck are fascinated by sound as an elemental force. Which isn’t to say that there aren’t distinct ebbs and flows here, which do seem to correspond to the titles if only as a point of reference. After ‘Heat From Light’ crashes down around your ears, the beginning of ‘Antonia’ sounds almost weightless, like Ry Cooder suspended in a floatation tank, or parts of The KLF’s Chill Out album heard during a monsoon. But the force of gravity soon pulls everything back into a maelstrom of scorching feedback, demented drumming and electronic frequencies set at such a pitch that your entire body vibrates if you’ve got it loud enough, the album concluding in such a fit that it’s almost like the three protagonists are screaming and hurling things at each other in a frenzied argument. Except that, in reality, it ended as nothing of the sort, with Fennesz, Daniell and Buck now preparing to tour together. Knoxville goes some way towards capturing the evident chemistry they found together, whilst also making it clear that we really need to catch them live to experience the full effect.